Just when this chap [me!] felt he had every CD in the world awaiting review along comes a package with, not 1, not 2, but 6 ECM releases! 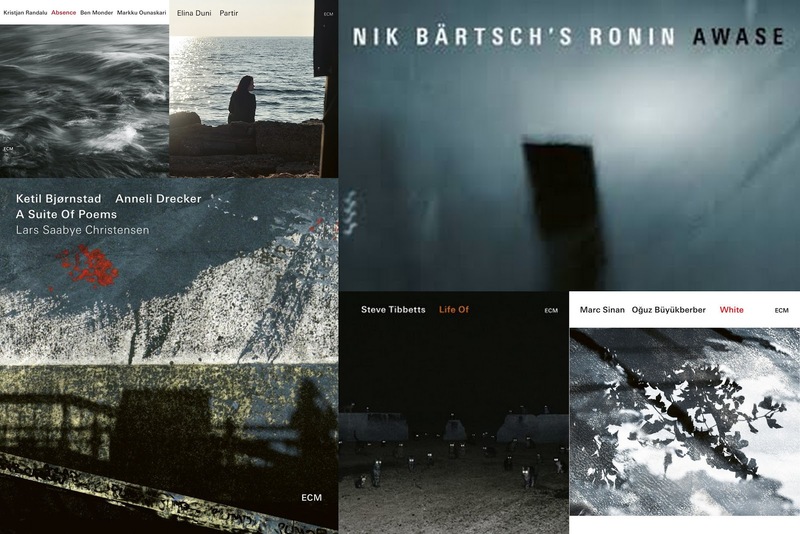 Like the fabled camel and the straw this was 6 CDs too many so, rather than just ignore such a prestigious label as ECM, I've linked them up to source so readers can read about them, listen to samples and, maybe, part with their euros. Nik Bärtsch's Ronin - Awase. ECM 2603. Ketil Bjornstad - A Suite of Poems. ECM 2440. Kristjan Randalu - Absence. ECM 2586. Marc Sinan - White. ECM 2558. Elina Duni - Partir. ECM 2587. Steve Tibbetts - Life Of. ECM 2599.